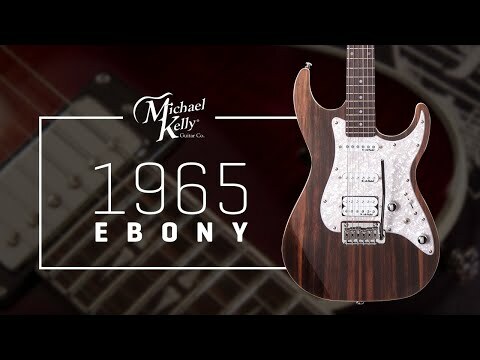 1965 Ebony Custom Collection | Michael Kelly Guitar Co. The Custom Collection 65 model features a hard to find exotic ebony top. Each guitar is unique, all with a rich depth of pattern. We have adorned it with all of our best features and an amazing playability. It is finished out with the unique touch of flame maple binding and the sonically versatile Epic Eleven electronics mod. This is part of the Ebony collection within the Michael Kelly Custom Collection family. Featuring an exotic striped ebony top, this Custom Collection is only available while our supply of this hard to find wood last. Available in 1955 and 1965 versions. 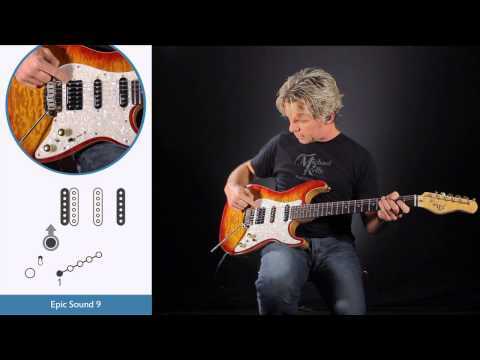 Open Back Trem Back Plate- For decades guitarists have removed their backplate on their tremolo equipped double cutaways for a sonic enhancement. With the MK Open Back design you get that sonic edge with a finished look.